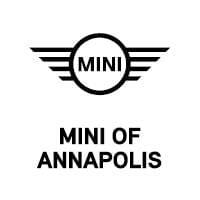 This 2019 MINI Hardtop 4 Door Cooper is proudly offered by BMW of Annapolis This MINI includes: ANTHRACITE HEADLINER HEATED FRONT SEATS TRANSMISSION: 6-SPEED AUTOMATIC W/STEPTRONIC MIDNIGHT BLACK METALLIC WHEELS: 17 *Note - For third party subscriptions or services, please contact the dealer for more information. * Stylish and fuel efficient. It's the perfect vehicle for keeping your fuel costs down and your driving enjoying up. You've found the one you've been looking for. Your dream car. Based on the superb condition of this vehicle, along with the options and color, this MINI Hardtop 4 Door Cooper is sure to sell fast. We look forward to seeing you soon! Please call us for more information.